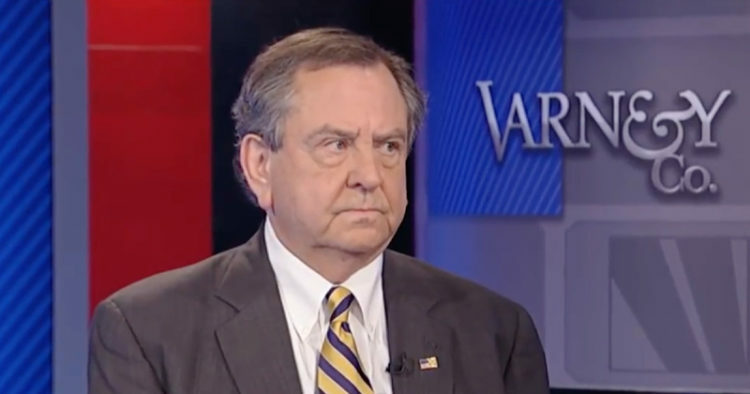 Former FBI Assistant Director James Kallstrom, who turned whistleblower, got very candid with Stuart Varney on Fox Business about what is going on with the Deep State and the FBI. He says that patriots within the FBI are about to go public with huge new revelations that could blow up the “Russian collusion” investigation. He refers to the “5th Estate” and says it has been working to sabotage President Trump. He’s certainly got that right. Kallstrom says it is led by “a bunch of sycophants in the FBI” who are guilty of “obstruction of justice.” Wow and this is a guy who would know. Very interesting. I hope he is correct here and agents are going to expose what is going on. It’s long overdue. In the process Mueller and Comey could both be exposed. Kallstrom didn’t hold back at all and stated that from the very beginning that the goal was to “destroy the presidency of the United States.” That’s treasonous. This claim is given credence since we now know of two, possibly three, FBI agents who had literally discussed an insurance policy to ensure Trump did not stay in office. That was the Russian dossier that was cooked up. It was meant to bring Trump down if he defeated Hillary Clinton. The agents in question are Peter Strzok, Lisa Page and Andrew McCabe. “They were in Andy (McCabe’s) office plotting some kind of thing and I think that ‘some kind of thing’ is what we are seeing right now,” said Kallstrom, remarking that the entire Russian investigation was “very depressing” for many patriotic FBI agents. I’m sure it was and still is. There are a lot of good people in the FBI. That ‘thing’ he refers to is a soft coup. Varney and Kallstrom both agree that a “cabal” within the FBI and DOJ that protected Hillary Clinton has been attempting to bring down Donald Trump for the past year. I think there is a lot more that will come out as well. This is just the beginning. Barack Obama and Hillary Clinton are both mired in this and I hope they go down for it. At the DOJ, you had the Ohrs. Bruce Ohr was a senior Justice Department official who was demoted after it was found out he was concealing his meetings with Fusion GPS, which commissioned the anti-Trump “dossier” containing salacious allegations about Trump. His wife, Nellie Ohr, is a Russian expert that was hired by Fusion GPS and helped compile the dossier. Fusion GPS received millions of dollars from Hillary Clinton’s campaign and the DNC. Kallstrom then dropped the bombshell that insiders within the FBI are going to go public with new revelations concerning Mueller and Comey. “I think recent events, that I’m aware of, are going to improve that, because there’s going to be something actually something that’s going to happen in my view,” he said. “I think there’s a lot of patriots that have just had it up to here, with what’s going on. And they’re going to step forward and tell people what the shenanigans have been, how they shut down the Clinton Foundation investigation, how other things, you know, were done that are so anti what the FBI and United States is all about,” Kallstrom added. This must be tied to Jeff Sessions ordering the Justice Department prosecutors to begin questioning FBI agents to explain the evidence they found in a now dormant criminal investigation into a controversial uranium deal that critics have linked to Bill and Hillary Clinton. That would be Uranium One. This fulfills a promise by Attorney General Jeff Sessions to Congress to interview these FBI agents in order to examine whether a special counsel was warranted to look into what has become known as the Uranium One deal, a senior Justice Department official said. This has to do with the 2010 deal the Obama administration made that allowed the sale of US uranium to Russia’s state atomic energy company. Clinton was the Secretary of State at the time and the State Department, along with nine other agencies, approved the deal. This must also have to do with that witness, William Campbell, that was only recently allowed to testify against all of this. I think this whole mess is getting ready to blow sky high and it needs to. The next couple of months are going to be politically explosive. It’s been a long time coming, but you can’t hide this much corruption forever. If it does blow up, it will be far bigger than Watergate ever was.